[He has sent] an apostle who conveys unto you Allah’s clear messages, so that He might extract those who have made a secure commitment [to Allah] and do righteous deeds out of the depths of darkness into the light. And whoever makes this secure commitment to Allah and does what is right and just, him will He admit into gardens through which running waters flow, therein to abide beyond the count of time; indeed, a most goodly provision will Allah have granted him! (65:11). It was the month of Ramadan in which the Qur’an was [first] bestowed from on high as a guidance unto man and a self-evident proof of that guidance, and as the standard by which to discern the true from the false… (2:185). That divine Writ has no vacillation about it: [it is] a guide for the muttaqis (2:2). Say [O Prophet], “Whosoever is an enemy of Gabriel,” who verily, by Allah’s leave, has brought down upon your heart this [divine writ] which confirms the truth of whatever there still remains [of earlier revelations], and is a guidance and a glad tiding for the committed believer (2:97). And upon you [too] have We bestowed from on high this divine writ for no other reason than that you might make clear unto them all [questions of faith] on which they have come to hold divergent views, and [thus offer] guidance and grace unto people who will be securely committed [to Allah] (16:64). “Behold, it is We Ourselves who have bestowed from on high, step by step, this consciousness and, behold, it is We who shall truly guard it [from all corruption]” (15:09). Thus the Arabic Qur’an we have in our possession today is exactly the same as the revelation received by the noble Prophet (SAW) more than 1,400 years ago. No other historical record, account, scroll, collection or book comes close to matching the authenticity, accuracy, and fidelity of the original revealed Qur’an to its multitude of printed and memorized copies in the world today. 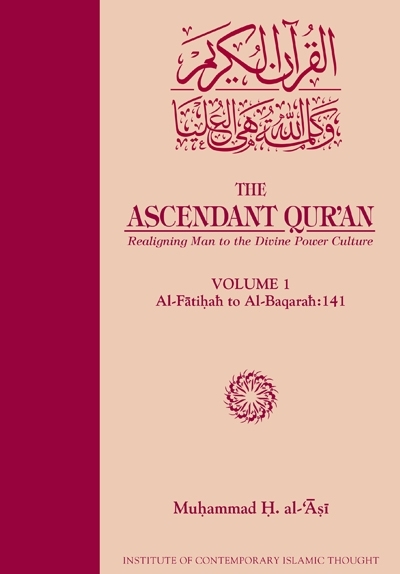 From the pace-setting days of the first Qur’anic generation to the unsettled times of the modern era, Muslims have endeavored to understand its message in order to establish a culture of obedience to Allah’s (SWT) command and conformity to His wisdom, thereby exemplifying a just directional course for the rest of humanity. There have been numerous commentaries of the Generous Book, first in Arabic and later in other languages as Islam spread to many parts of the world. While nothing compares to the eloquence, the poetic and rhetorical beauty, the subtlety of style, and the ever-expanding impact of the Qur’an in Arabic, all commentaries and translations nonetheless attempt to communicate, as best as possible, a limited human understanding of its substance, sense and gist. Indeed, [even aforetime] did We send forth Our apostles with all evidence of [this] truth; and through them We bestowed revelation from on high, and [thus gave you] a balance [wherewith to weigh right and wrong], so that people may rule [each other] with equity; (57:25). Further, the Qur’an’s eloquence and poetic beauty cannot be translated word-for-word into other languages simply because every language comes embedded with its own values and developmental biases. An idiomatic expression that may be suitable in one language may not adequately convey the same meaning when literally translated into another. For instance, there is no equivalent word or concept in the English language to directly represent the Arabic word taqwa. Conversely, there is no single word in the Arabic language or the Qur’anic lexicon to precisely render the concept of nationalism. Similarly, many more Qur’anic concepts are unknown to Western culture. This presents Islamic scholars, activists and doe‘is with a difficult problem. They have to face the challenge of properly delivering Qur’anic ideas through the medium of Western language, a system of verbal communication that is most antithetical to the Qur’anic culture because it evolved out of an atheistic and exclusivist historical experience. Thus all translations of tafsirs from other languages into English run the risk of widening the gap between the Qur’an and its actual meaning. While an essentially English tafsir would also suffer from such structural weaknesses, its inconsistencies are likely to be less cumbersome if the mufassir is well-versed in both English and Arabic. Imam Muhammad al-'Asi, who has now been engaged for 10 years on this tafsir, has an excellent grasp of both Arabic and English, and has been immersed in the study of the Qur’an all his life. By his own words, he has “…cooked his brains in the Qur’an.” His particular talent in capturing the sense of the Arabic original and then projecting it with the appropriate set of English words makes him the ideal individual for this project. He is able to convey the essence of Qur’anic meanings despite the obvious limitations of the English language. This lexical faculty is all the more important in an age when the purity of the Qur’anic discourse has been polluted by translations whose authors, despite their undeniable sincerity, could not shake themselves loose from their material upbringings in a colonial or Western world dominated by self-interest. Many factors influence the tenor and style of a tafsir: the mufassir’s understanding of the Qur’an, his personal preferences in highlighting some aspects over others and the contemporary historical situation in which he lives. Thus, we note that the early mufassirs concentrated on aspects of iman because that was the greatest challenge facing the early generation of Muslims who encountered peoples in distant parts of the world. Later generations adopted a philosophical approach to the study of the Qur’an, while others highlighted the historical background and the context in which certain ayat were revealed. All these are useful and relevant in their peculiar settings, and they enhance the evolving compendium of Qur’anic literature for all future generations. In the contemporary age, Muslim scholars have sought inspiration from the Qur’an to guide them in their struggles against injustice and oppression. Thus, each age influences the manner in which the Qur’an is studied. Every approach is correct in its own way because the Qur’an is a vast source of knowledge. No single approach can be considered as the final or complete word. The Muslim world in particular and the rest of the earth in general is beset by myriad problems today. They range from the illegitimacy of rulers to the gross polarization of wealth and resources to the mass inequities suffered by a people who have no representative political institutions. Despite vast natural resources, most Muslims languish in extreme poverty. To overturn such inequalities, Islamic movements are involved in intense struggles both within their societies as well as against external enemies that have invaded and occupied majority Muslim lands. Given this grim reality, it would be reasonable to expect that there are many publications, radio programs and television channels discussing and highlighting these problems; regrettably this is not the case. The Crescent International is among the few voices striving to reflect the hopes, aspirations and frustrations of the global Islamic movement. Most other publications and publishers have tended to deal with “safe” and non-controversial subjects — not so with the Crescent International and its affiliated intellectual think-tank, the Institute of Contemporary Islamic Thought (ICIT). The Crescent and ICIT have chronicled the global Islamic movement and the root causes of problems facing the Ummah. Like Islamic strugglers everywhere, those in the media must also demonstrate a willingness to make sacrifices for the cause they espouse. It bears mentioning that while Islamic strugglers in Palestine, Lebanon, Chechnya, Iraq, Afghanistan or elsewhere, are making great sacrifices in life and blood, one cannot say that those in the media have demonstrated the same degree of commitment. There is a hadith in which Allah’s Messenger (SAW) is reported to have said, “…the pen of a scholar is more precious than the blood of a martyr.”9 This is a great honor for those involved in Islamic publications but lamentably not many have realized their true import. The ICIT and Crescent International have neither compromised on principle nor refrained from critical analysis. We have no sponsors who would pressure us to take certain utilitarian positions or to look the other way in the face of obvious violations of Allah’s (SWT) social justice code. We favor and fear no one — big or small — except Allah (SWT), preferring to speak and write the truth. This is not easy in an age of conformity but Islamic work has never been easy; it requires immense sacrifices; above all, it demands consistency. Despite all the difficulties accruing from some of our own limitations, we consider it a matter of high distinction to be involved in such work for the pleasure of Allah (SWT), hoping that this would make us worthy of His mercy and grace. It is our hope and prayer that workers and activists in the Islamic movement will find the present tafsir inspirational for the disquietude associated with their ongoing sacrifice and struggle. If it serves as a platform not merely for academic discussion but for bona fide action and activism by committed Islamic workers and mujahids, then we feel our efforts would have been amply rewarded. The ICIT and Crescent International have always taken an uncompromising stand on issues of justice and the right of the Islamic Movement to resist oppressors everywhere. How successful we have been is a judgment that others must render. We are fully aware of the enormity of the task we are undertaking by publishing this tafsir. We make no claims to being qualified for such a task but we are grateful to Allah (SWT) for giving us the opportunity to do so. We seek solace in the fact that Imam al- 'Asi’s approach breaks new ground in developing a deeper and more engaging understanding of the Qur’an. While the ICIT and Crescent have concentrated on reporting and analyzing the activities of the movement, this tafsir is expected to add another dimension to the emerging Islamic momentum. It will serve an important leadership function: to motivate and inspire the movement by anchoring it more firmly to Allah’s (SWT) message in the Qur’an. We therefore feel it is natural for an institution like the ICIT, whose primary role has been the study of contemporary Islamic thought and the power perspective in the Sirah, to undertake the publication of such a tafsir. The ICIT emerged on the strength of the ideas first articulated 35 years ago by Dr. Kalim Siddiqui at the Muslim Institute in London. The ICIT has worked to build on Dr. Siddiqui’s endeavors by providing a platform for Muslim thinkers and “out-of-the-box” scholars everywhere. We hope that this tafsir will appeal to and attract a thinking audience, one that is sufficiently concerned about the plight of the Ummah to seriously consider the perspective presented here. The ICIT exists to capture and source the pace-setting ideas of thinking Muslims worldwide. There are numerous terms such as mushrik, mustakbir, taghut, and mustad‘afun used in the Noble Qur’an. These must be understood in their contemporary context so that they can be usefully applied to today’s conditions. The Qur’an also narrates the stories of such tyrannical figures as the Pharaoh and Nimrod.10 These are not just figures from history; they are the archetypal enemies of Allah (SWT) found in every age. If the stories of Pharaoh and Nimrod were just tales from history, Allah (SWT) would not have narrated them repeatedly in the Book of Wisdom. After all, the Qur’an is not a book of stories; it is a book of guidance for all humanity. Why is it that most Muslims are unable to make a connection between the oft-repeated descriptions of the Pharaohs and the present-day oppressors? The simple answer is that they have lost touch with the spirit of the Qur’an. The noble Messenger of Allah (SAW) transformed the jahili society of Arabia and remodeled its savage people into the most upright, committed and brave human beings on earth. By contrast, today’s Muslims have clearly failed to understand the message of the Qur’an in a manner that would institutionalize lasting change in their lives. We must, therefore, rectify our own inadequacies. Allah (SWT) tells us in the Glorious Qur’an, “Verily, Allah will not change the condition of a people unless they change their attitude” (13:11). The first step on this journey is to develop a better comprehension of the Qur’an. Imam al-'Asi is well-placed to provide us that service. He has studied and lived the Qur’an all his adult life. I have had the honor and privilege of his acquaintance since the Islamic Revolution was launched in Iran. Our paths frequently crossed during the many conferences at university campuses in the US and Canada. Later, this extended to other parts of the world as well. His speeches and presentations are not only eloquent but have always provided a fresh perspective on all major issues. Like few other scholars today, he has been able to bring out the deeper meanings of the Qur’an in his captivating style and has related them to the contemporary problems facing Muslims. This tafsir, whose first juz’ is being presented here, has been serialized in the Crescent International over many years. It is finally being presented in book form. By its very nature, a newspaper or magazine does not have a long shelf life. A book will, however, satisfy the needs of permanence; and in order to accomplish the task of producing a publishable volume, this final compilation has been revised and edited by Br. ‘Afif Khan in consultation with Imam al- 'Asi himself. The tafsir reflects Imam al-'Asi’s understanding of the Qur’an as developed over several decades. If it enables Muslims to look at their problems from a fresh perspective and begin to address them in earnest, then we feel our efforts in producing this work are justified. It is our hope to provide access to the tools and resources that would motivate Muslims to think critically about their problems. Then they can begin the long journey back to becoming the vibrant and dominant civilization that Allah (SWT) had intended them to be, He it is who has sent forth His Apostle with the [task of spreading] guidance and the din of truth, to the end that He may cause it to prevail over all [false] religion [as systems of life] — however hateful this may be to those who ascribe divinity/authority to aught beside Allah (9:33, 61:09). Our sincere attachment to the Qur’an, the Sunnah and the Sirah of the noble Messenger of Allah (SAW) are the essential first steps on a road that leads to Islamic revival and reassertion. 2. Gharu Hira’ – a grotto (a small cave) big enough for two people, located on what is now called Jabal al-Nur (the Mountain of Light). As the grotto would provide an unobstructed view of the Ka‘bah, it is only a few miles outside of Makkah. It would take an average person one or two hours to ascend to the grotto from the base of the mountain. Before he received the revelation for the first time, Muhammad (SAW) had the habit of meditating in this grotto for extended periods (several days to weeks). On the Night of Power (Laylah al-Qadr) in Ramadan, he received the first Qur’anic revelation while in this grotto. 3. Muhammad Marmaduke Pickthall (1875–1936CE) is best known for his translation of the Qur’an, The Meaning of the Glorious Qur’an. He maintained that the Qur’an could not be translated from the original Arabic, and thus he claimed to have rendered the meaning of its message as understood by one who had studied it for a long time. He had been a scholar of Middle Eastern, Arabic and Islamic studies long before he formally accepted Islam at the age of 37. He refused to fight on the allied side against the Turks during World War I; while the British could have used his abilities as a linguist during the war, they refused to do so, considering him a security risk. He was also an author, editor, lecturer and imam of a local masjid in the UK. While he was translating the meaning of the Qur’an into English, he befriended Muhammad Rashid Rida and other Egyptian scholars from al- Azhar who reviewed his translation for accuracy. 4. ‘Abdullah Yusuf Ali’s (1872–1953CE) work, The Holy Qur’an: Text, Translation and Commentary, is perhaps the most widely distributed English translation and commentary of the Qur’an. He memorized the Qur’an at an early age and was fluent in both Arabic and English as well as his native Urdu. While studying English literature at several universities in Europe, he also began his study of the Qur’an, concentrating on the earliest commentaries and tafsirs written by the likes of al-Tabari, Ibn Kathir, and al-Qurtubi. He was also a contemporary of the great Urdu poet Muhammad Iqbal, who recruited him to be the principal of the Islamia College in Lahore, Pakistan. 5. Traveler, intellectual, Qur’anic translator and interpreter, and writer, Muhammad Asad was born in Poland in 1900 and converted to Islam in 1926. He extensively traveled in the Muslim world, writing about Muslim civil society, politics, spirituality, and more. His writings include The Message of the Quran, The Road to Mecca, and The Principles of State and Government in Islam. 6. Qur’anic interpreter, writer, and intellectual Sayyid Qutb is one of the seminal figures of 20th-century Islam. As an Egyptian who studied in the West, he encapsulated the global Muslim youth’s desire for an Islamic direction in his book, Milestones. His magnum opus is his tafsir, Fi Zilal al-Qur’an (In the Shade of the Qur’an) which he wrote while imprisoned by Jamal ‘Abdu al-Nassir’s government for his activism with the Muslim Brotherhood. Qutb was executed for his views in 1966. 7. Founder of Pakistan’s Jamati-Islami party, writer, Quranic translator interpreter, intellectual, Sayyid Abu al-A‘la Mawdudi is one of the 20th century Islam’s seminal figures. Mawdudi’s prolific writings covered interpretation of hadith, ethics, social studies and the problems facing the movement of Islamic revival. His tafsir in Urdu, Tafhim al-Qur’an (Towards Understanding the Qur’an) has shaped Islamic understanding in South Asia. 8. ‘Allamah Sayyid Muhammad Husayn al-Tabataba’i (1904–1981 CE) was born to a religious family in Tabriz, Iran, where he received his early education. In 1923, he moved to Najaf, the religious center in Iraq, to study under the guidance of great scholars of his time. He returned to his native Tabriz in 1934 but the place was too small for his talents, resulting in his relocating to Qum in 1945 where he lived until the end of his sojourn in this world. In Qum, he not only taught many generations of students but also wrote extensively on many subjects, the most important of which is his tafsir, Al-Mizan fi Tafsir al-Qur’an. This 20-volume tafsir of the noble Book has a strong philosophical bent. 9. From previous tafsirs – whenever the reference “From previous tafsirs” appears in the endnotes, it will refer to one or all of the following tafsirs in which the original hadith of the Prophet (SAW) or sayings of other individuals may be found. The mufassir, Imam al-'Asi, chose the first five of these because they have captured and consolidated the information in the Volume 1 previously well-known tafsirs including al-Tabari, Ibn Kathir, al- Zamakhshari, al-Qurtubi, and al-Razi. Secondly, the combination of these five delved more deeply into ideas that attempted to grasp the full meaning of the Qur’anic discourse. Sayyid Qutb, Fi Zilal al-Qur’an. (Beirut, Lebanon: Dar al-Shuruq, 1405 AH), 11th ed., 6 vol. Muhammad Rashid Rida, Tafsir al-Qur’an al-Hakim (better known as Tafsir al-Manar). (Beirut, Lebanon: Dar al-Ma‘rifah, 1414 AH), 12 vol. Dr. Wahbah al-Zuhayli, Al-Tafsir al-Munir fi al-‘Aqidahi wa al-Shari‘ah wa al-Manhaj. (Beirut, Lebanon: Dar al-Fikr al-Mu‘assir, 1411 AH), 1st ed., 32 vol. ‘Allamah Sayyid Muhammad Husayn Tabataba’i, Al-Mizan fi Tafsir al- Qur’an. (Tehran, Islamic Republic of Iran: Dar al-Kutub al-Islamiyah, 1397 AH), 3rd ed., 20 vol. Muhammad al-Tahir Ibn 'Ashur, Al-Tahrir wa al-Tanwir (better known as Tafsir Ibn 'Ashur). (Beirut, Lebanon: Mu’assasah al-Tarikh, 1420 AH), 1st ed., 29 vol. Abu Ja‘far Muhammad Ibn Jarir al-Tabari, Tafsir al-Tabari (better known as Jami‘ al-Bayan fi Ta’wil al-Qur’an). (Beirut, Lebanon: Dar al-Kutub al-‘Ilmiyah, 1412 AH), 12 vol. Abu al-Qasim Jar-Allah Mahmud Ibn ‘Umar al-Zamakhshari al-Khawarizmi, Tafsir al-Kashshaf. (Beirut: Dar al-Fikr), 4 vol. Abu al-Fadl Shahab al-Din al-Sayyid Mahmud al-Alusi al-Baghdadi, Ruh al-Ma‘ani fi Tafsir al-Qur’an al-‘Alim wa al-Sab‘i al-Mathani. (Beirut, Lebanon: Dar al-Fikr, 1414 AH), 16 vol. Mustafa al-Hisun al-Mansuri (edited by Muhammad ‘Ali al-Sabuni), Al-Muqtataf min ‘Uyun al-Tafasir. (Damascus, Syria: Dar al-Qalam, 1416 AH), 5 vol. 10. Nimrod (arabic, Nimrud) – absolute ruler of Mesopotamia during the time of Ibrahim (AS); he was to Ibrahim (AS) what Pharoah was to Musa (AS).